Lineage. Constituted 306th Fighter Squadron on 16 Jul 1942. Activated on 22 Jul 1942. Disbanded on 1 May 1944. Reconstituted, redesignated 176th Fighter Squadron, and allotted to WI ANG on 24 May 1946. 176th Fighter Squadron (SE) extended federal recognition on 6 Oct 1948. Redesignated: 176th Fighter Interceptor Squadron in Apr 1952. 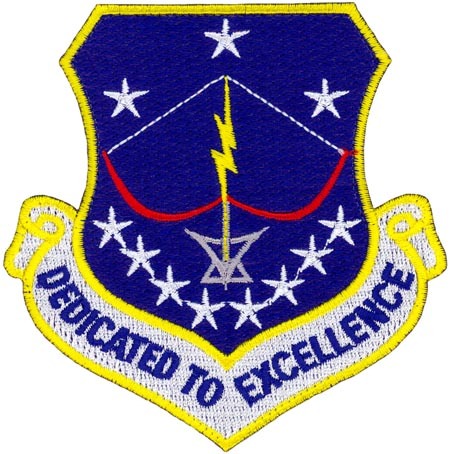 115th Fighter Interceptor Group extended federal recognition on 15 Apr 1956. Redesignated: 128th Tactical Air Support Wing, 9 Nov 1974; 128th Tactical Fighter Wing, 15 Nov 1981; 128th Fighter Wing, 15 Mar 1992; 115th Fighter Wing, 11 Oct 1995-. Assignments. 338th Fighter Group, 22 Jul 1942-1 May 1944. WI ANG, 6 Oct 1948-; (Gained by: Air Defence Command, 1 Jul 1960; Tactical Air Command, 9 Nov 1974; Air Combat Command, 1 Jun 1992-). Stations. Dale Mabry Field, FL, 22 Jul 1942-1 May 1944. Truax Field, (later ANGB), WI, 6 Oct 1948-. Aircraft. P-39, 1942-1943; P-40, 1942-1943, 1944; P-47, 1943-1944; P-51,1943. P-51D, 1948-1952; P-51H, 1952-1954; F-89A, 1952-1955; F-86A, 1954-1955; F-89B/C, 1955-1957; F-89D, 1957-1959; F-89H, 1959-1960; F-89J, 1960-1966; F-102A, 1966-1974; O-2A, 1974-1979; OA-37B, 1979-1981; A-10A, 1981-1993; F-16C/D, 1993-. Operations. Replacement training, 25 Sep 1942-1 May 1944. Called to active duty as part of the Korean War call-up, 1951-1952. Air defense of the Midwestern US, 1952-1974. Won William Tell Air-to-Air Weapons meet in 1972. Forward Air Control mission, 1974-1981. Worldwide close air support mission, 1981-1992. Participated in Operation Coronet Chariot, Karup AS, Denmark 1994, Operation Northern Watch, Incirlik AB, Turkey 1997, Operation Southern Watch, Al Jaber AB, Kuwait 1997-98, Operation Southern Watch, Prince Sultan AB, Saudi Arabia 1999, Operation Coronet Nighthawk, Curacao, Netherlands Antilles 2001, Operation Enduring Freedom, 2004, 2006, 2008 & 2009; Operation Jump Start, 2005-06, and Operation Noble Eagle, Sept. 11, 2001-. Decorations. USAF Outstanding Unit Awards: 1991.